You are the newest recruit in the Coagulation Intervention Brigade, CIB. You are trained to act quickly to stop bleeding. 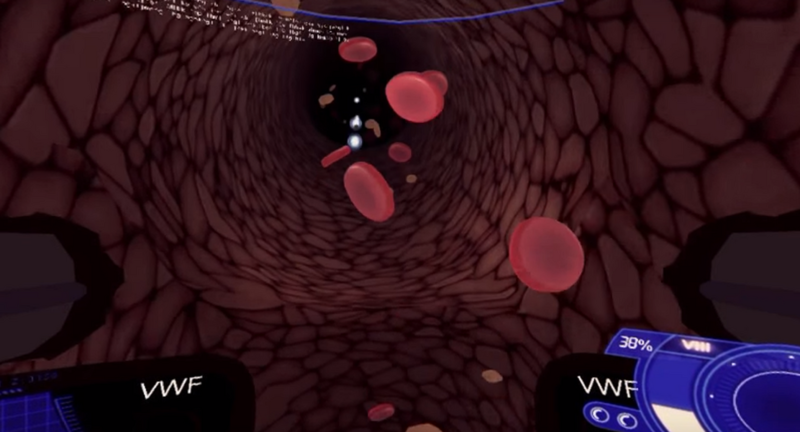 Move your head around to take a look inside the vessel and interact with the coagulation factors. 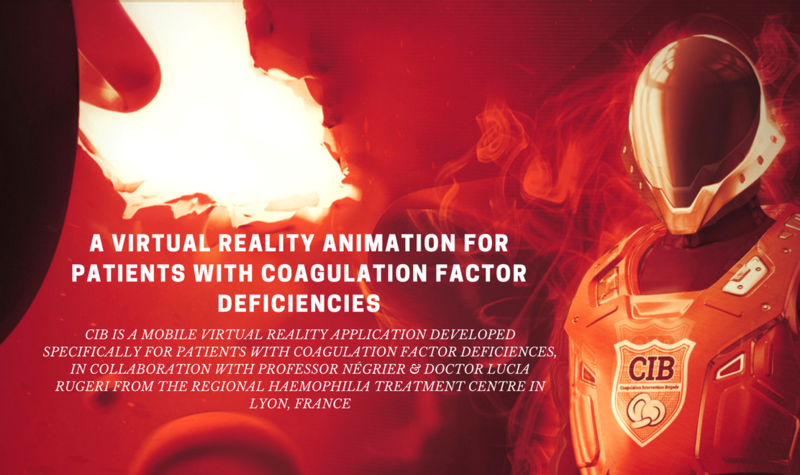 CIB is a mobile virtual reality application developed specifically for patients with coagulation factor deficiences, in collaboration with Professor Négrier & Dr Rugeri from the Regional Haemophilia Treatment Centre in Lyon, France. Virtual reality or VR is a technology used to immerse the viewer in a digitally-created world. 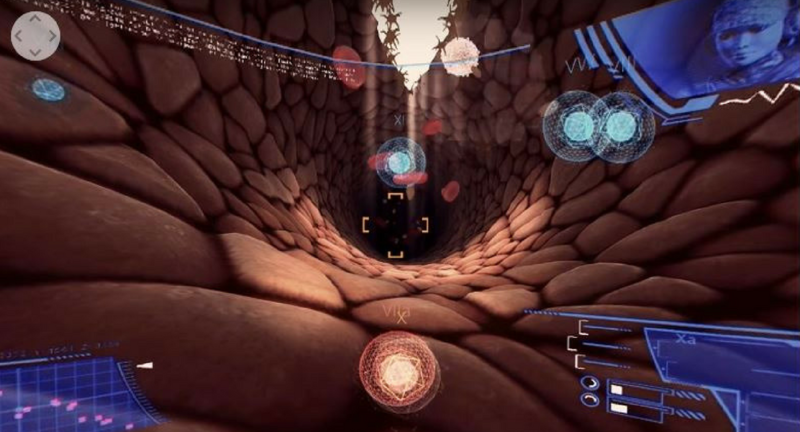 When immersed in the virtual environment, the user can interact with different components. In CIB, the player must bind to coagulation factors and targets to activate them. The application offers 360° immersion. How is it immersive? With CIB, you don't just watch a simple video, you become an actor in a video game. The 360° immersion allows you to move your head or device in any direction. This means that you can explore the blood vessels and direct your gaze to activate the coagulation factors and plug the hole. THE APPLICATION CAN BE USED IN 2 MODES: NORMAL AND CARDBOARD. What is a Cardboard? A cardboard is a cardboard accessory with 2 lenses that, when paired with a compatible smartphone, become a true virtual reality headset. IS YOUR SMARTPHONE COMPATIBLE WITH THE CIB APPLICATION AND USE OF THE CARDBOARD? 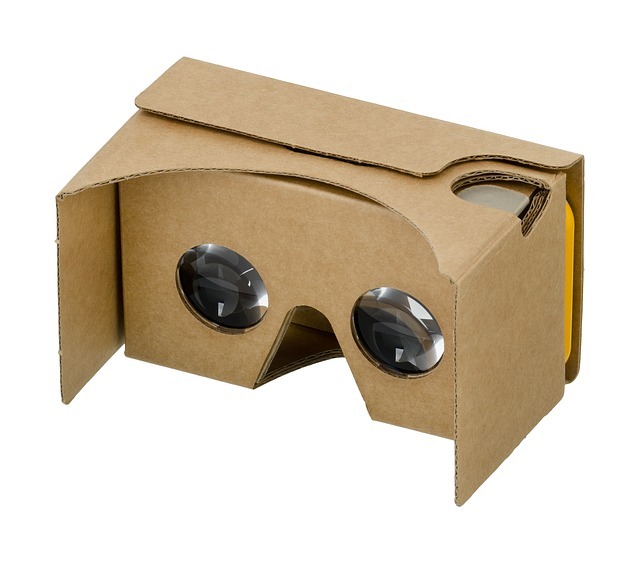 A recent smartphone is generally required to use a virtual reality viewer (cardboard). It needs to have what is called a gyroscope to follow the movements and position of the phone and an accelerometer to process acceleration. 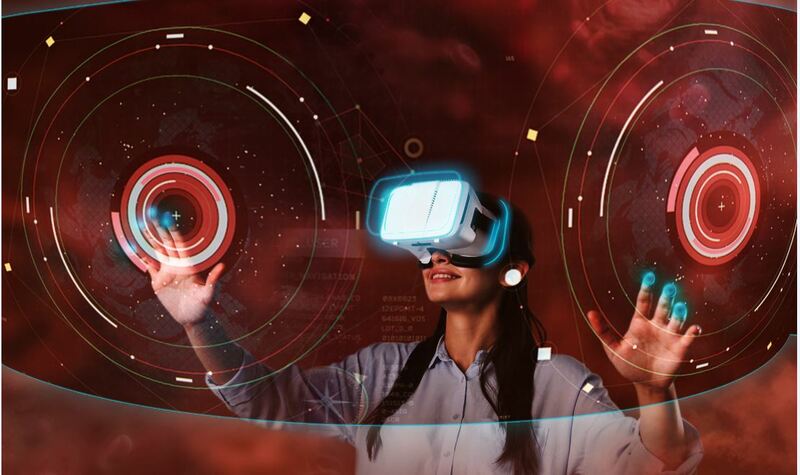 Virtual reality applications also require a powerful processor and high-definition screens for a fluid experience. Don't worry. The Cardboard is compatible with over 70 smartphones on the market, including the most popular models (iPhone, Samsung Galaxy S...)! 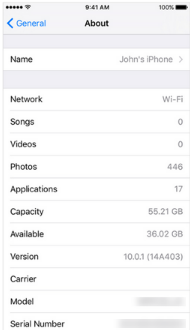 It's easy to see whether your phone is compatible or not by downloading the application. 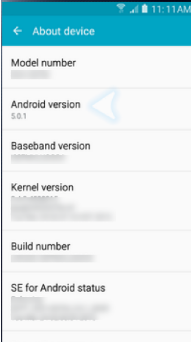 If your phone is not compatible, an error message will be displayed. The viewer is not required to perform a test. For the best experience possible, we recommend at least a 3.5-inch phone, meaning a smartphone with dimensions of 87 x 51 mm. First, unlock your iPhone and then tap "Settings"
HOW CAN YOU OPTIMIZE YOUR VIRTUAL REALITY EXPERIENCE? What is haemostasis and coagulation? Haemostasis is the set of physiological mechanisms that lead to the stop of bleeding or that restore blood flow in cases of thrombosis. It is a constant balance between coagulation and fibrinolysis. During primary haemostasis, the vessels constrict to promote adhesion and aggregation of platelets. The platelets stick to the vessel wall to form a thrombus that plugs the hole. This first protection, called the platelet plug, is fragile and is not sufficient to stop the bleeding in a lasting manner. Coagulation or secondary haemostasis is a cascade reaction that consolidates the platelet plug. This reaction involves the coagulation factors that are activated one after the other to eventually produce fibrin. It is the fibrin network that makes the clot insoluble and restores the blood vessel wall. Fibrinolysis occurs as the injured vessel is repaired. This process works to dissolve the clot, prevent the formation of thromboses and recanalise the blood vessels. WHAT IS A COAGULATION FACTOR? Coagulation factors are molecules present in the blood that play a central role in the mechanism of blood clot formation. WHAT PATHOLOGIES ARE SEEN IN PATIENTS WITH COAGULATION FACTOR DEFICIENCIES? Haemophilia is a bleeding disorder caused by no production or insufficient production of factor VIII for haemophilia A (the most common form) or factor IX for haemophilia B.
Haemophilia is a hereditary disorder, meaning that it is passed on by the father and/or mother. It affects nearly exclusively males. Women are not sick or present with an attenuated form of the disease, but they do transmit it to their progeny. Worldwide, 1 in 6,000 males is born with haemophilia A, and 1 in 30,000 males is born with haemophilia B. For information, there is also a form called haemophilia C that is a hereditary coagulation disorder caused by a factor XI abnormality. Unlike haemophilia A and B, this pathology does not cause joint or muscle bleeds and the severity of the bleeding is not correlated with the FXI levels. Von Willebrand disease is the most common coagulation disorder, with a prevalence of 1 to 2%. Affecting both men and women, Von Willebrand disease results from a quantitative deficiency and/or qualitative defect of Von Willebrand factor. The clinical symptoms of Von Willebrand disease are mainly skin and mucous membrane haemorrhages. The bleeding profile depends on the disease type and severity. Rare coagulation deficiencies are caused by the absence or defective functioning of one or more coagulation factors (meaning factors I, II, V, VII or XIII). They are hereditary with recessive autosomal transmission, meaning that both parents must carry the defective gene in order to pass the disease on. Most are caused by an abnormality of the corresponding factor. The coagulation process is rapidly interrupted as a result, and no clot is formed. These disorders are more rarely diagnosed and there is thus less information about them.